Kaia Kater On World Cafe : World Cafe Hear the African-Canadian banjo player and songwriter play songs from her latest album, Nine Pin. Kaia Kater's latest album, Nine Pin, is out now. 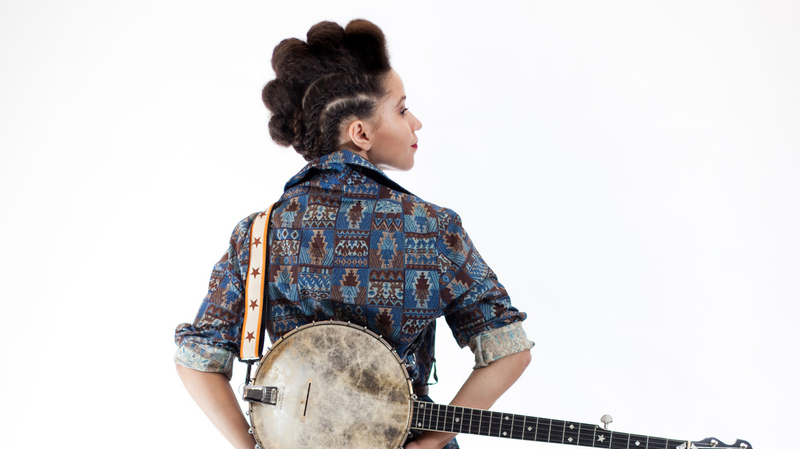 Canadian banjo player and songwriter Kaia Kater draws on the influences of both Canadian folk music and her Afro-Caribbean roots. In this session, Kater discusses her multicultural influences and what it was like to grow up playing an instrument that might not have been the coolest. She also talks about the difference in sound between her debut and her latest album, Nine Pin, and performs songs from each.